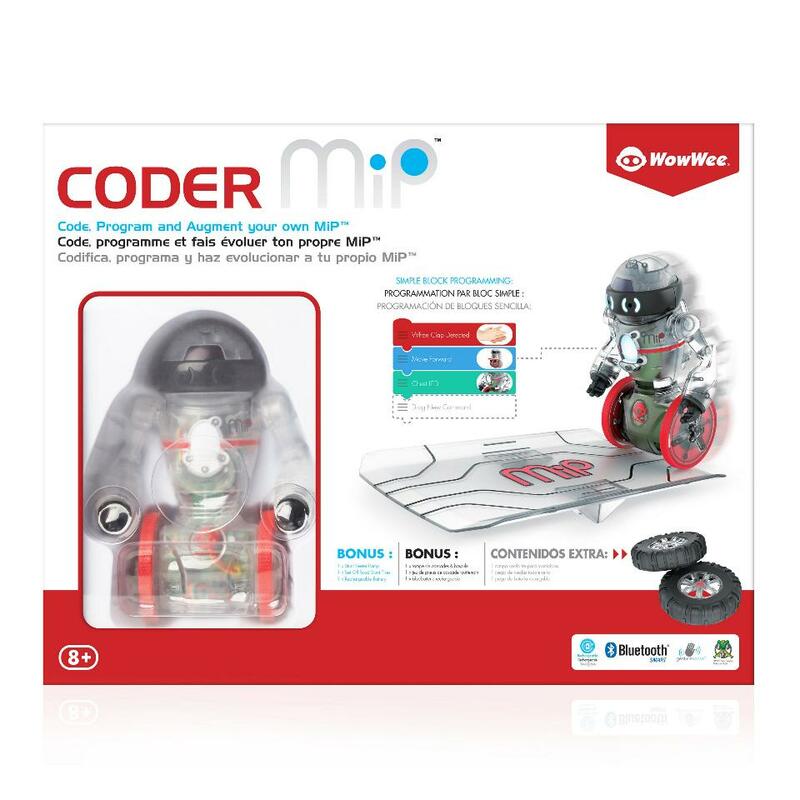 Coder MiP is the programmable version of the world's favorite balancing robot toy - featuring red accents, a new see-through design to show off the components inside, and rechargeable batteries included in the box, for countless hours of fun. You can control Coder MiP with simple drag and drop commands, using the free app on your Bluetooth Smart tablet or smart phone. 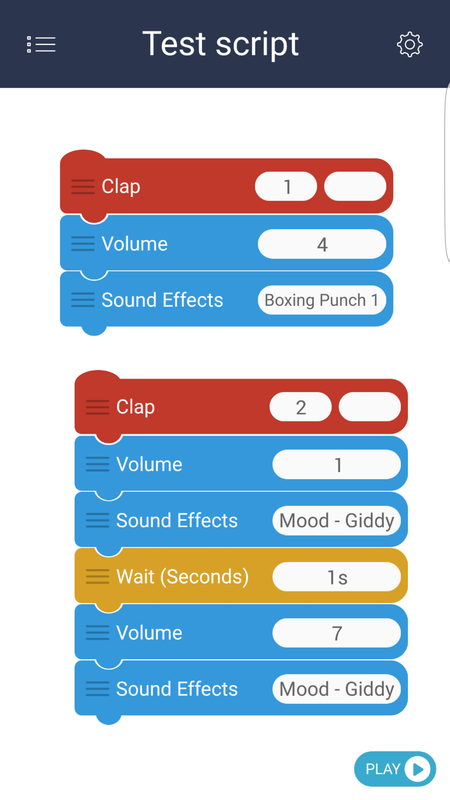 Customize Coder MiP's reactions to different inputs such a clapping, hand gestures, and pokes and create a robot that is right for you. 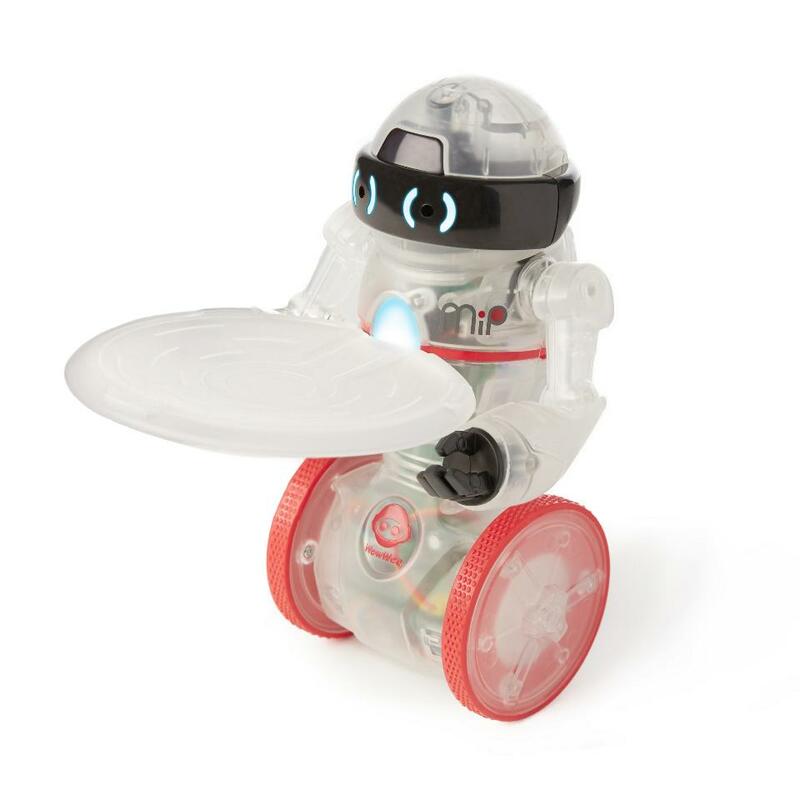 Coder MiP can balance multiple objects on his matching tray while moving or standing still, just like the original black and white MiP robots. You can also drive Coder MiP over his matching ramp, and modify his wheels with all-terrain wheels included in the box. 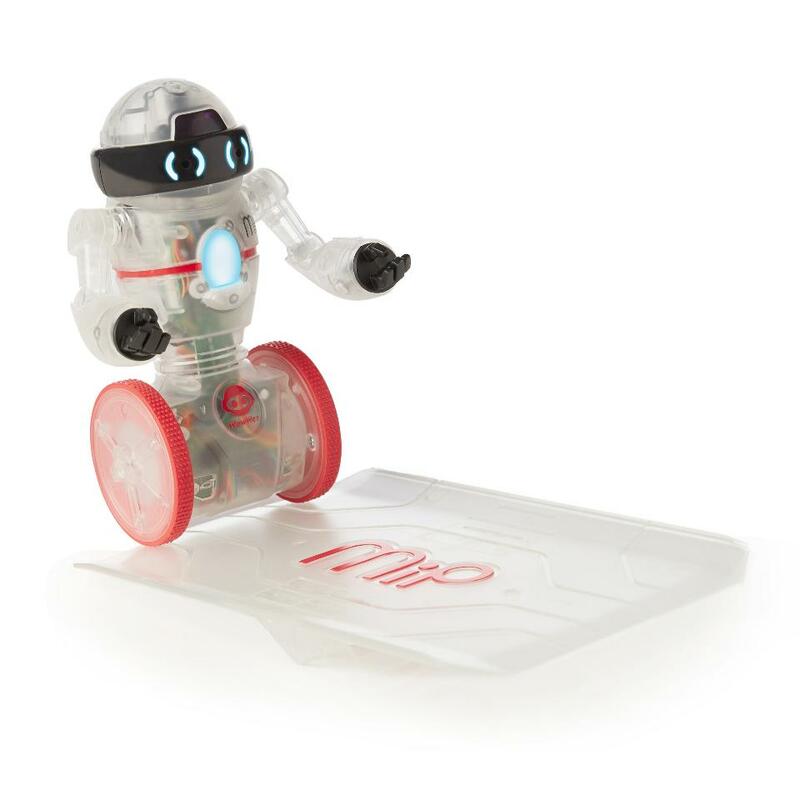 This robot has an inquisitive personality and communicates through motion, sounds, and LED lights in his eyes and chest. Sensors allow Coder MiP to navigate his surroundings and respond to hand gestures. You can also make Coder MiP dance or play games with Coder MiP using the app. 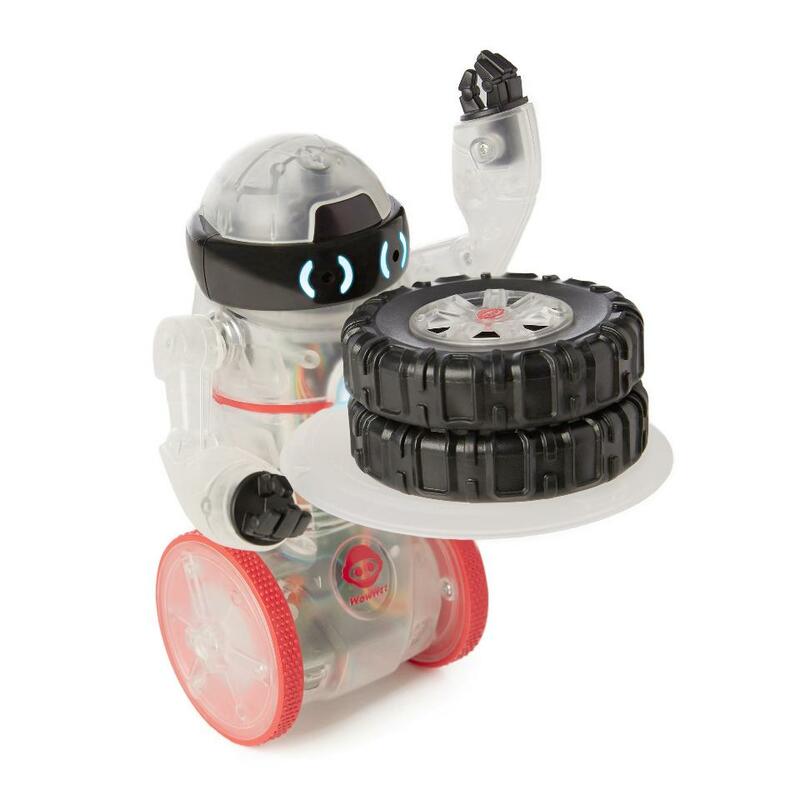 Programmable version of the world's favorite balancing robot with a new app. Simple drag and drop commands (akin to Blockly and Scratch) let you customize Coder MiP's actions/reactions using your smart device. Rechargeable batteries - MiP's #1 most requested feature! Cool new see-through design with red accents. Matching accessories: ramp, tray, and all-terrain wheels.